Henning Olsen, a large icecream producer in Norway is launching a new product, I laughed when I saw it and had to share it. How long do you think til Apple calls them? A small code comes with the ice-cream which you can use to download a free tune. 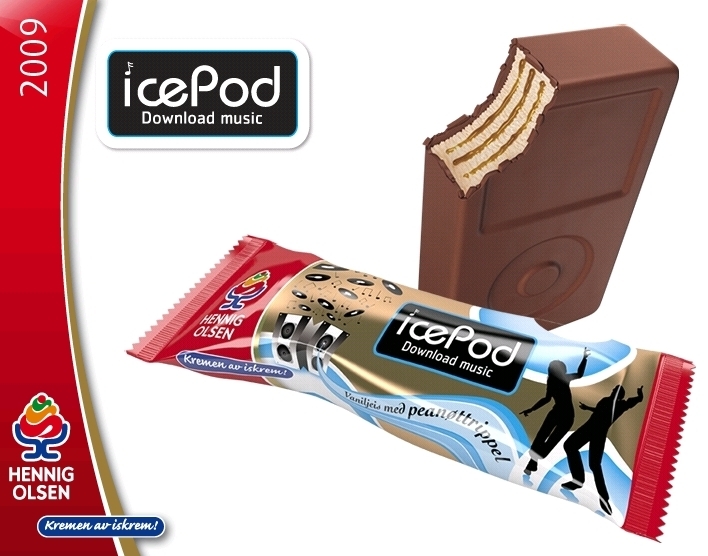 There were no trademark registered in Norway on IcePod. That’s awesome. Great idea but … yeah, they’ll be hearing from Apple I’m sure. Hmmm. and just what does it taste like??? I’m sure Apple’s lawyers will be all over this! Hahaha, that is crazy… doubt they will be hearing from Apple though, they’re not exactly stealing any market share!